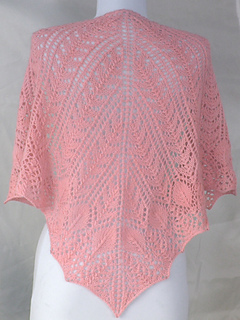 I was inspired by amazing Moroccan architecture as well as the Merrakesh yarn by wooliebullie http://www.wooliebullie.etsy.com when I was designing Casbah. 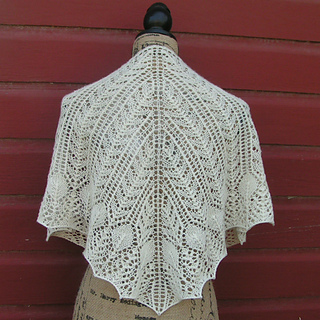 The yarn is lightweight, next to skin super soft and warm, so its perfect for this shawl. The repeat in the main body is not complicated and is easy to memorize, so its not as complex as it looks. 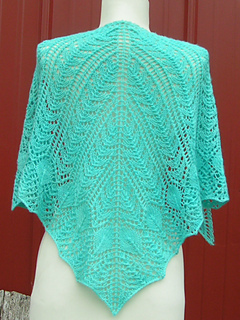 The edging moves pretty fast as well. 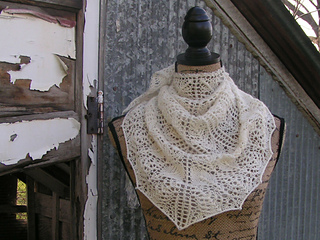 The pattern includes instructionsfor making a scarf, shawlette and shawl. 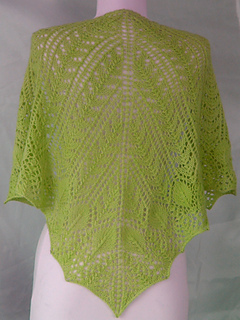 Finished Measurements: after aggressive blocking - Scarf - 19.5” down center back, 39” across top Shawlette - 23” down center back 46” across top Shawl - 30” down center back 60” across top - Larger shawl is open to your own decisions.